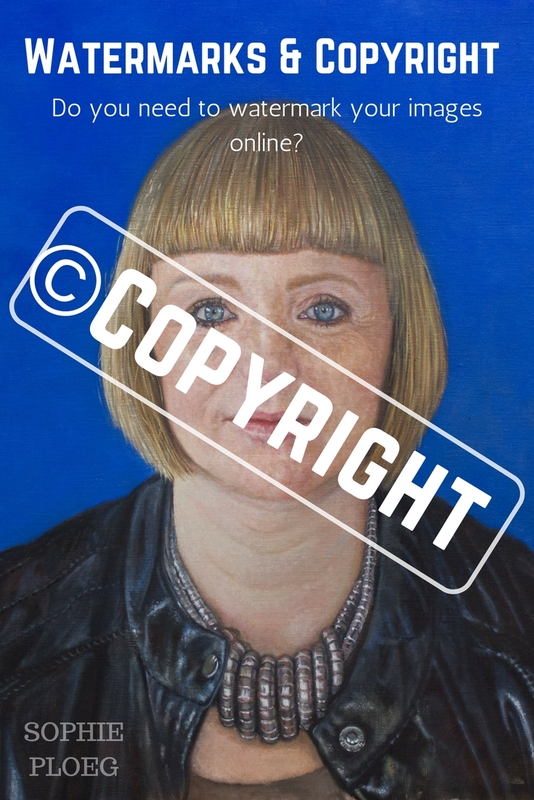 Question: do we artists need to put watermarks on every picture we post online to protect our copyright? 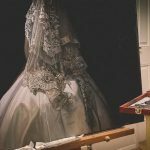 Should I worry about my pictures being stolen? Should I post small pics only? Should we put copyright notices on them all? Do we actually still own the copyright to the images when we post them online? We have all heard the scary stories of the ”photographer” who took other people’s images off Instagram and sold them for tens of thousands of dollars. And I have heard plenty of stories of artists’ work being copied and sold by mass production painting companies in the Far East. There are grim jokes amongst artists who challenge each other to find out if they have ‘made it’ onto the copyists lists. Even book publishers sometimes have the nerve to grab somebody’s painting off the internet and plop it onto the front cover of a novel without asking permission, let alone pay. Copyright infringement is real and we should protect ourselves, shouldn’t we? Most artists have an image-heavy website these days and so they should. It is a great and cheap way to present your work in a beautiful way, in your own style, whether you have real- world gallery presentation or not. But is putting your art on the internet safe? Are you not putting it out there for anyone to just take and use? Thankfully we are protected. In most Western countries, as far as I know (I am no lawyer! ), copyright is automatically created when you create your work of art. You don’t need to do anything, you don’t even need to register it. It is just there, it is yours. If someone takes your picture and uses it for commercial gain (i.e. earns money from it), you can probably sue. 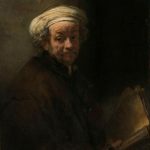 Of course some cases are complex in nature and so this article is just some general advice from a fellow artist. Always seek legal advice if in doubt. Should we Protect our Work? But even if your pictures are not stolen by big publishers or huge painting factories in far away countries, should you protect your images online? Should plaster huge watermarks over it so nobody can reproduce or copy your work? I don’t believe there are any rules for this. There is no law to say you should or you should not add copyright notices or watermarks to your images. It is totally up to you. After all, you own the copyright to your images, whether you put a notice up or not. Sometimes you see notices go round on social media, saying that we, users, have given Facebook or Twitter the rights to all our images and they can do with it whatever they like. Most of these notices are from people who did not understand that the small print they are referring to is you giving Twitter and Facebook permission to ‘host’ your pictures on their social media sites. Without your permission you cannot use their sites to share your pictures with your friends and followers. On most social media you can remove your content at any time. Do, however, be aware that many online forums have no such functionality. Images posted on there can often no longer be removed (nor are posts or threads) unless you can convince a moderator to do so. Images have and will always be taken from such forums, so it is good to be careful with what we post. Should We Put Watermarks on our Images? If you do not want your pictures used by other people, I think it is a sensible idea to add a small watermark to your images. A watermark or logo will remind people of the already existing fact that they cannot use your images without asking permission. There is no official need for a watermark or logo, but people seem to forget easily when on the hunt for the right picture. If your picture does happen to end up in strange online places than a logo or watermark will at least point people to the fact that it is not theirs. How Big Should the Watermark Be? The main aim of putting your images online is to share them with your friends, followers and the world. You want to show off your stuff don’t you? So plastering watermarks over it in such a way that you cannot see the art work anymore seems pointless. If it ruins the image, you are not showing off your work in the best way. Watermarks should be visible, but not distracting from the main image. Sometimes you hear recommendations that you should only put small images online for fear of theft. Let’s say no more than 500 pixels wide. Those images will be impossible to copy or reproduce by thieves as they will become blurry when enlarged. Although that is all true, I think we must remember why we are putting our images online in the first place. We want to show off our stuff! And a tiny image is usually not really providing a wow-factor to a website. Plenty of well known artists and galleries have large, even full screen images on their websites, giving us a true wow effect that makes us want to explore further. A website with tiny little images is not showing a visitor what you have to offer. But do keep in mind that large image files will slow a website down. Keep the files sizes of your images small and optimise them appropriately. Although tiny thumbnail sized images are no use to anyone, don’t make your images larger than necessary either. Some websites have the ‘Right Click’ disabled in the hope of putting people off saving their images onto their own computers (right clicking on your mouse will give you the option to ‘save image as’). If you find this important you can try to add this to your website as well. I believe that it does me no financial or legal harm if people save my images onto their computer to enjoy. In fact I have a huge folder on my computer full of images I like. So I see no reason to disable the ‘Right Click’. The risk of somebody doing anything naughty with my images is very low indeed and to stop anybody else enjoying them seems overly cautious. Whomever is out to do anything untoward with my images will quite easily find a way around the ‘Right Click’ anyway. I don’t watermark ALL of my pictures, I must admit. Instagram doesn’t have the feature, for example, although there are ways to get it done if you really wanted it. Often a quick phone picture posted on Facebook will not have a watermark on it either. But I aim to put one on most of my images, modestly in a corner as a quiet reminder of my copyright. There are too many people out there who naively think all internet pics are up for grabs so it can’t hurt to give them a gentle reminder of of my rights. I am not overly worried about my images being stolen. At the end of the day a stolen picture is only a problem if the thief earns money or fame from it and celebrates the lie. The theft of pictures does happen. Often by innocent but naive people who think it is ok. A simple polite reminder usually does the trick and will fix the problem. Sometimes you find weird people who pretend one of your pictures is actually their creation. There are not many people like that thankfully. 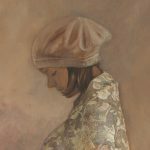 I once found a beginning artist who copied (in paint) one of my paintings and posted it on her blog. She did it for practice and I was flattered. She was clearly not going to earn money from it or do anything else with it. She was just copying to learn. There are also more serious cases where big money is being earned from the use of somebody else’s pictures. Clearly those situations require strong letters and the involvement of lawyers. I’d say, but I am no lawyer so take this advice for what it is, make your website and social media images as beautiful as possible. Make sure your paintings are represented well. I would recommend to put a small logo or watermark in a corner which does not spoil the image but lets people know who made it straight away. A copyright notice on your website, somewhere in the footer for example, can also help as a reminder. But first and foremost; make your site look good. Don’t give crooks an easy ride with huge megabyte-sized images, but build your site for your fans to enjoy. You own the copyright to your online pictures. 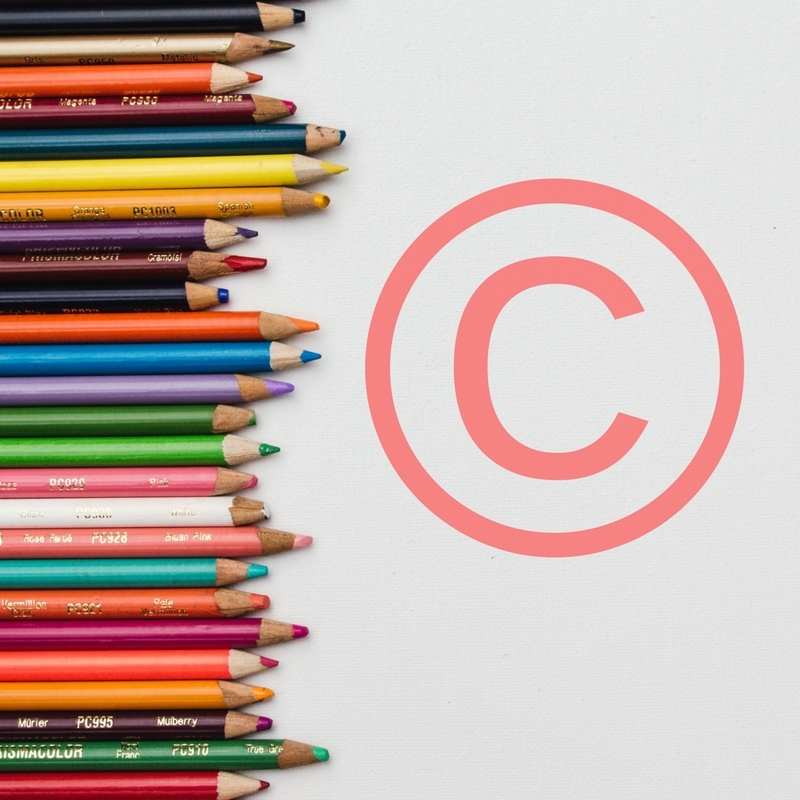 There is no legal requirement for a copyright notice but it can help as a gentle reminder that people should always seek permission if they want to use them.